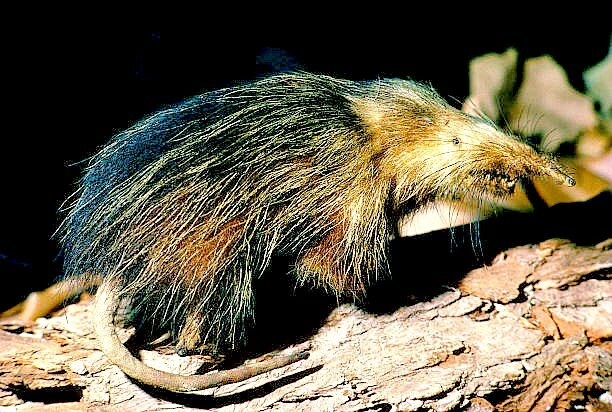 One of only two species of solenodon, the Cuban solenodon is a rare insectivore that resembles a large rat. It emerges from rocks and hollow logs at night to prey on insects and lizards. The tawny-coloured Cuban solenodon and its dark brown Haitian relative are both in danger of extinction.